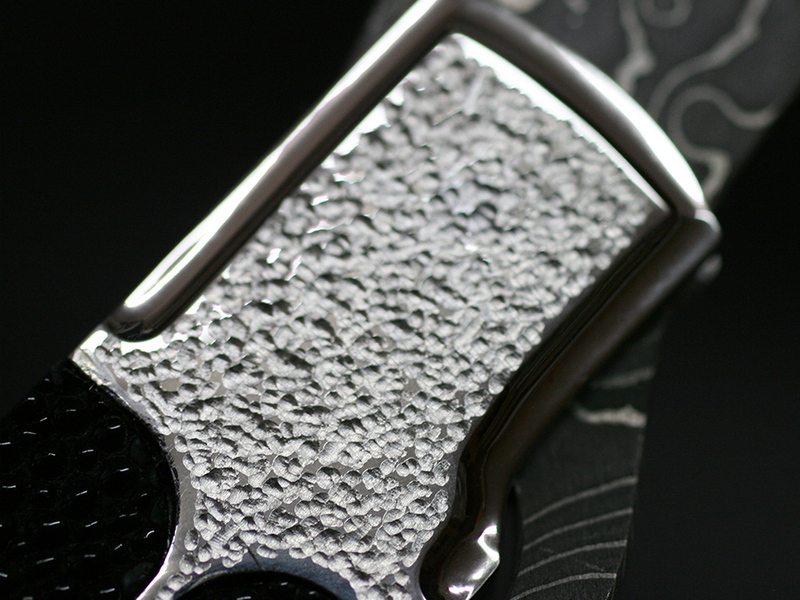 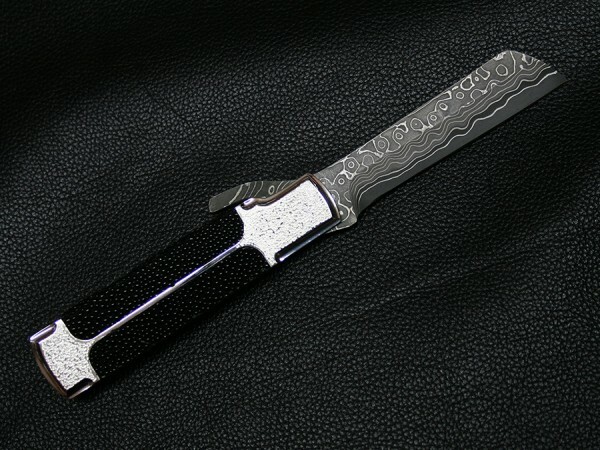 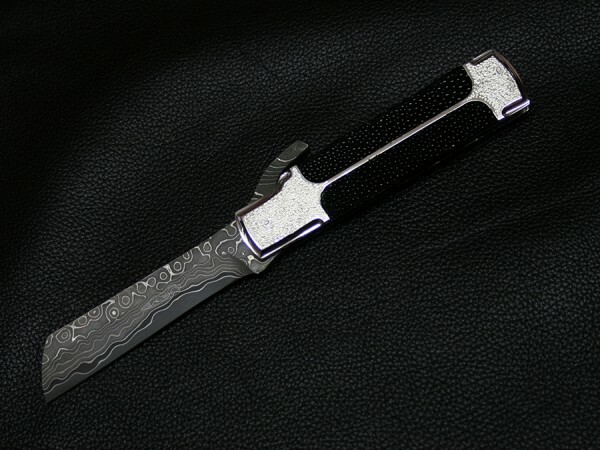 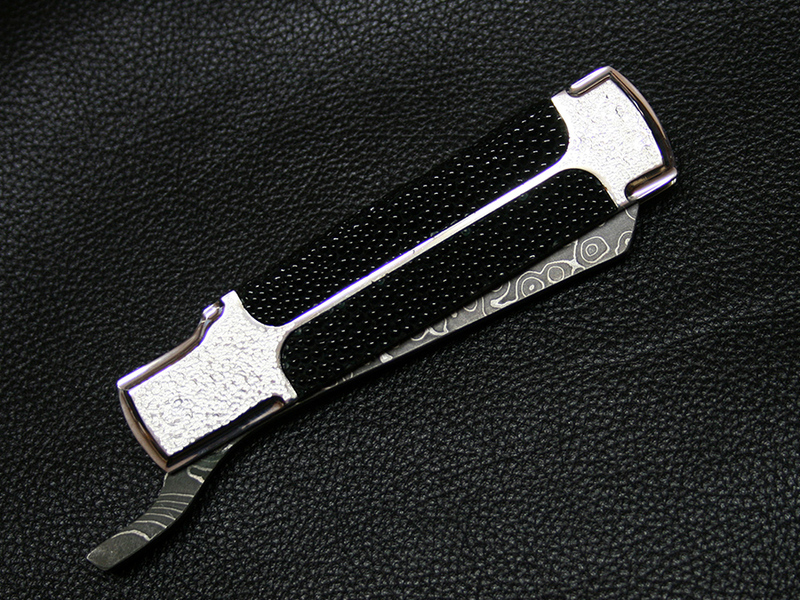 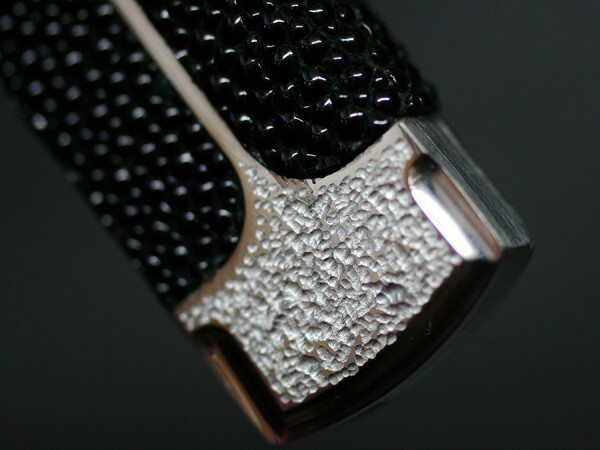 This slip joint folder by Koji Hara features a Damascus blade and hammered finish 316 solid stainless steel with mirror polished bevels and black stingray hide wrapped handle. 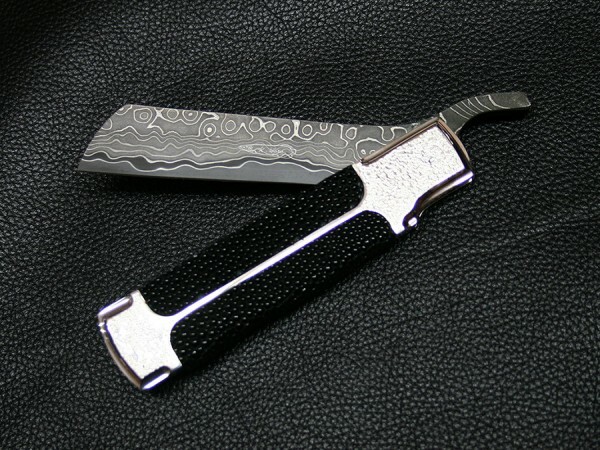 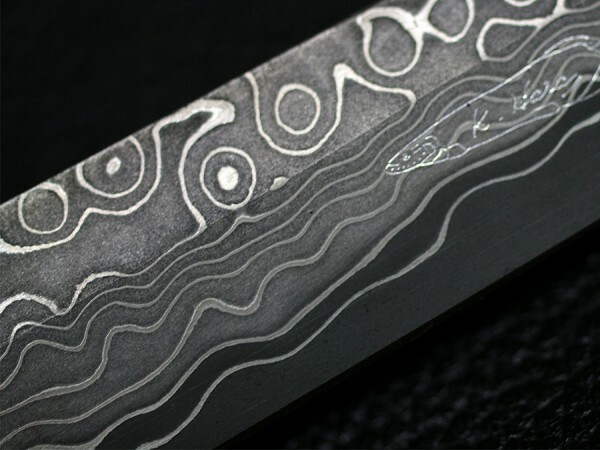 VG-10 core forge layered Nickel and Stainless Damascus steel blade with thumb opening lever, Sharp triangle point Japanse Kiridashi blade for craft work. 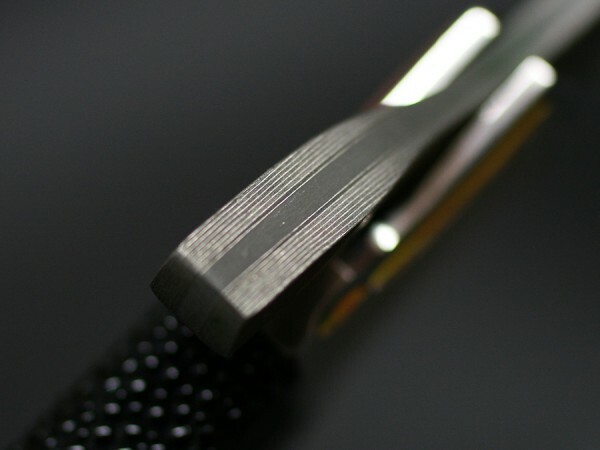 Slip joint mechanism with thumb opening lever. The knife comes with Japanese Kimono cloth pouch.